The Department of Health and Human Services is being sued by CIOX Health, a medical record retrieval company, over updates to HIPAA laws that place restrictions on the amount that can be charged to patients for providing them with copies of their medical records. CIOX Health claims the HIPAA Omnibus Rule updates in 2013, “unlawfully, unreasonably, arbitrarily and capriciously,” restrict the fees that can be charged by providers and their business associates for providing copies of the health information stored on patients. Changes to HIPAA Rules not only placed a limit on the fees, but also expanded the types of information that must be provided to patients, on request. Accessing some of that information, in particular health information that is not stored in electronic medical records, is costly. Yet, even though the costs of processing some requests are high, HIPAA limits charges to $6.50 according to the lawsuit. CIOX Health argues that this flat rate fee is an arbitrary figure that bears no relation to the actual cost of honoring patient requests for copies of their health information, and such a low fee is hurting its business. CIOX Health wants the HHS to reverse the changes made to HIPAA in 2013 and 2016 with respect to how much can be charged and the provision of copies of any type of medical information. While the flat fee of $6.50 is the maximum that can be charged, it should be noted that the maximum fee only applies if the healthcare provider or company chooses that option. 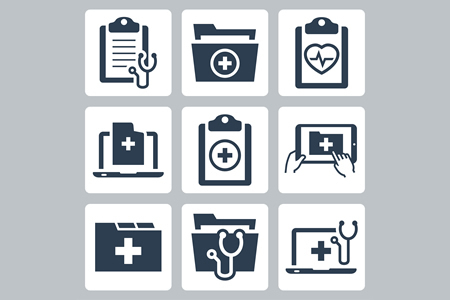 HIPAA does not prevent healthcare organizations from charging more. If they choose not to charge a flat fee, they are permitted to charge patients “actual or average allowable costs for requests for electronic copies of PHI maintained electronically.” The HHS confirmed this in May 2016 in response to questions asked via its web portal. The changes to the types of health information that must be provided on request now includes medical information in any form whatsoever, including electronic medical records in EHR systems, but also paper records and films that have been transferred to third parties. In the case of electronic records, they can be located in several different virtual locations, while paper records and films may be stored in several different physical locations. Providing copies of complete record sets requires staff to be sent to each of those locations to retrieve the records, and even accessing multiple virtual locations is a time consuming and costly process. Records must also be verified and compiled, which all takes time. CIOX Health serves more than 16,000 physician practices and processes tens of millions of requests for copies of medical records every year. The restrictions on charges has potentially hurt its business, according to the lawsuit. This is not the only legal action that CIOX Health is involved in which is related to providing patients with copies of their medical records. CIOX is the co-defendant in a November 2017 lawsuit that claims more than 60 Indiana hospitals have been failing to provide copies of medical records to patients within 3 days, as required by the HITECH Act, even though they accepted payments and claimed that they were meeting HITECT Act requirements. The defendants are also alleged to have overcharged patients for copies of medical records.